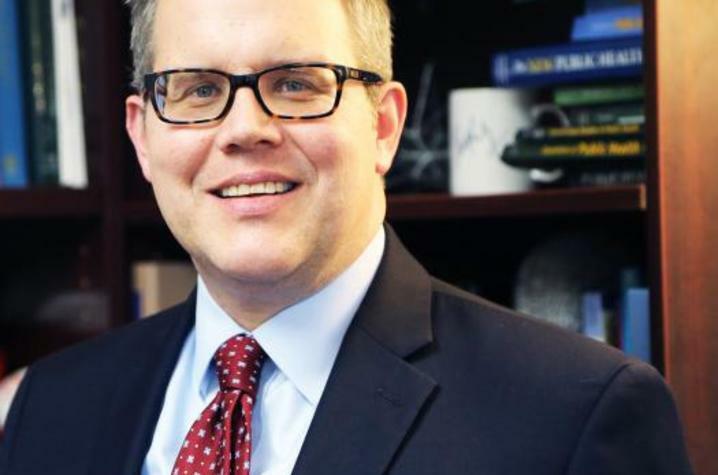 LEXINGTON, Ky. (Sept. 14, 2018) — The University of Kentucky College of Public Health has appointed Marc Kiviniemi as professor and chair of the Department of Health, Behavior and Society. Kiviniemi, a social and health psychologist, comes to UK from the University at Buffalo, State University of New York, where he served as associate professor of Community Health and Health Behavior and director of Undergraduate Public Health Programs in the School of Public and Health Professions. He began his appointment as chair in August and also serves as the Development Dimensions International Endowed Professor. Kiviniemi chose to join the CPH faculty – in part – because he sees UK as an institution that strikes the right balance between research, service and teaching. Kiviniemi, who holds a doctorate in psychology from the University of Minnesota, focuses his research on understanding how people make decisions about engaging in health-related behaviors, how individuals process and respond to information about their health and how to communicate that information most effectively. His work on decision-making, risk perception and intervention development is funded by the National Institutes of Health. A past chair of the Health Decision Making Special Interest Group for the Society for Behavioral Medicine, he also serves on the editorial board of the Annals of Behavioral Medicine. “We are delighted to have Dr. Kiviniemi join the College of Public Health at this time of growth. With his broad-based experience in teaching, research, service, and administration, he has the background necessary to lead such a dynamic academic department,” said Donna K. Arnett, dean of the college. Kiviniemi plans to move forward as chair by capitalizing on the existing strengths of the department.